I don’t have much to share, but thought I would try for two days posting in a row. More work went forward on the house. 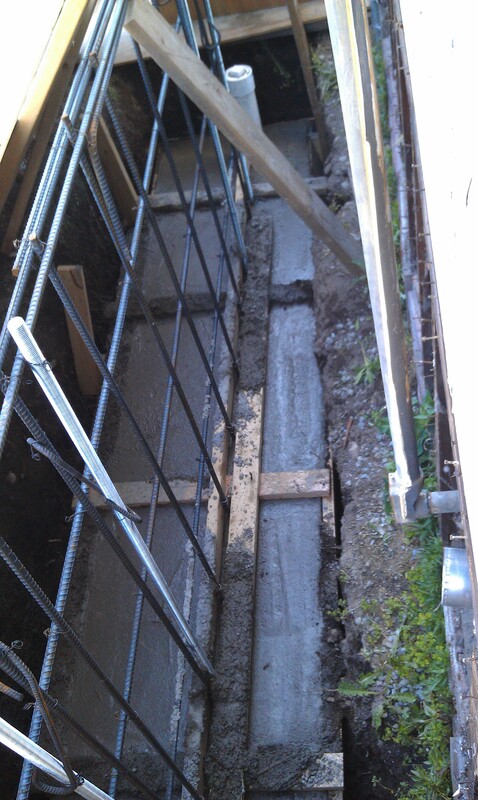 Contractor work – pouring the base of the new foundation. Carl work – focused on our upstairs kitchen cleaned out. Now – we never used this as a kitchen, but it had been set up like a mother-in-law apartment. I think it was really a daughter apartment. The stove and refrigerator were gone when we moved in. 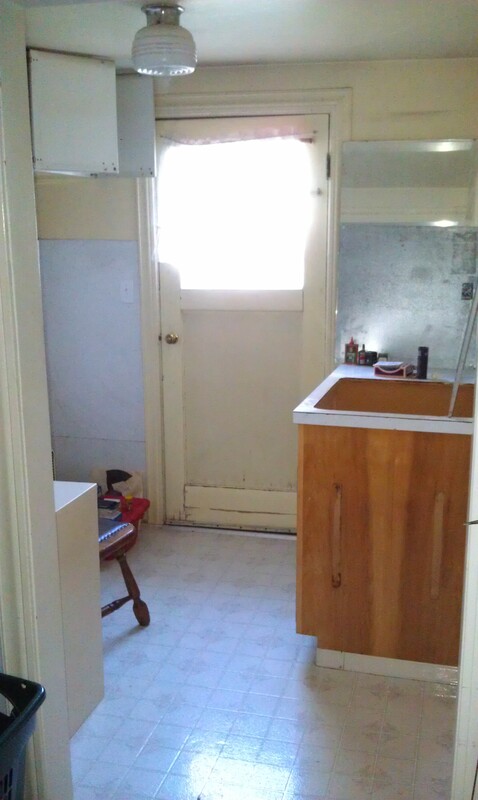 We removed the kitchen sink. This project will remove the 220 plug for the stove, and the cabinet that held the kitchen sink. We are retaining the 1950’s (I think) white upper cabinets. I am now going to go through some things for retaining/repacking or removing from our life. This entry was posted on May 16, 2013 at 8:38 pm and is filed under Uncategorized. You can follow any responses to this entry through the RSS 2.0 feed. You can skip to the end and leave a response. Pinging is currently not allowed. You have (had) an upstairs kitchen? I should’ve asked for a tour! It will become a little work area – desk, files, etc. With a new window (where there was a door, to a deck that is going away.) But there will be a bigger deck near ground level that is usable.